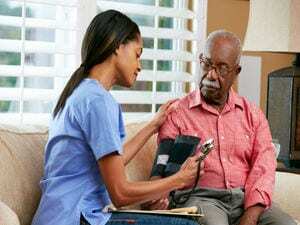 MONDAY, Jan. 7, 2019 (HealthDay News) — Alzheimer’s disease may be twice as common in black Americans as in whites, and scientists don’t really know why. The study found that black people typically have lower levels of the brain protein tau. And because rising levels of tau are considered a sign of Alzheimer’s, blacks may not meet the same threshold as whites for when Alzheimer’s starts. “If we only study Alzheimer’s in Caucasians, we’ll only learn about Alzheimer’s in Caucasians,” said researcher Dr. John Morris. He is a professor of neurology at Washington University School of Medicine in St. Louis. “If we want to understand all the ways the disease can develop in people, we need to include people from all groups. Without a complete understanding of the illness, we’re not going to be able to develop therapies that work for all people,” Morris said. For the study, Morris and his colleagues analyzed data from more than 1,200 people, of whom 14 percent (173) were black. The participants averaged 71 years of age. Two-thirds of the participants had no signs of memory loss or confusion, and the remaining one-third had very mild or mild Alzheimer’s, according to the report. All of the study participants underwent a PET scan to detect amyloid plaques in the brain, an MRI scan for signs of brain shrinkage and damage, or a spinal tap to measure levels of proteins in spinal fluid linked to Alzheimer’s. MRI and PET scans found no significant differences between black patients and white patients, but spinal fluid revealed lower levels of tau among black people, the researchers said. Elevated tau has been linked to brain damage, memory loss and confusion, but having lower levels of tau didn’t protect black patients from those problems, the investigators found. “With tau, the pattern was the same in African-Americans and whites — the higher your tau level, the more likely you were cognitively impaired — but the absolute amounts were consistently lower in African-Americans,” Morris said. This means that assuming tau levels to be the same among different populations may result in an inaccurate diagnosis, he explained. The difference in tau was greatest among those with the gene mutation APOE4, which confers a higher risk for Alzheimer’s. Earlier studies found that this mutation had a weaker effect in black people. The new study findings showed that people who had the lower-risk form of the APOE4 gene had similar levels of tau. “It looks like the APOE4 risk factor doesn’t operate the same in African-Americans as it does in whites,” Morris said in a university news release. A more complete understanding of the ways Alzheimer’s develops could open up new avenues of research to prevent or treat the disease, the researchers said. The report was published Jan. 7 in the journal JAMA Neurology. For more on Alzheimer’s disease, visit the Alzheimer’s Association.